England vs France last weekend was headlined as the Grand Slam decider but it fell well short of its billing. Between the boots of Emily Scarratt and Katy Daley-McLean, the French were undone. Early in the first half, Daley-McLean put in a pinpoint cross-field kick for Jess Breach to gather on the full and score. 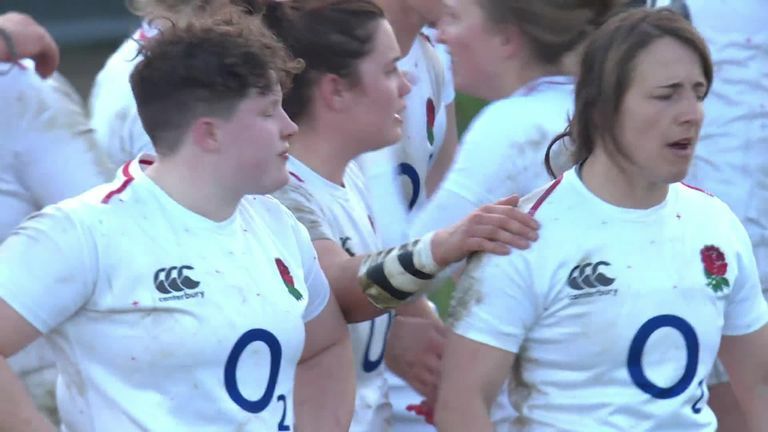 Emily Scarratt, whose skillful 40m spiral kicks kept France pinned in their 22, also produced a long-range grubber that was regathered by England's other flyer Kelly Smith. I wasn't surprised by the tactical nous shown by my two former team-mates to identify the acres of space in the French back-field. But, what really impressed me was the technical ability to consistently put the ball exactly where it needed to go. In contrast the French, who have previously been excellent footballers, exited poorly and missed touch three times on their own penalties. Schoolboy errors against a team chomping at the bit to capitalise on every mistake. Poor technical ability when striking the ball and a lack of effective tactical kicking seems to be themes across the remaining nations too. For years Ireland had a game that would test me in the full-back shirt. Niamh Briggs had a huge boot and Nora Stapleton would tactically use a kicking game to influence her side's performance. Without these two players it seems that no one is comfortable clearing the ball and although we saw some kicking in Ireland's fixture against Scotland this week, it was a weakness when facing England in the opening round. At no point during Scotland's game against the Irish did they use the significant wind behind them to make successful territorial gains. Surely, this was the simplest of tasks in the weather conditions both teams faced? By the same measure, we saw a lack of effective kicking in the Italy vs Wales fixture. Over-playing in the wrong areas of the field saw players make countless errors and led to a 3-3 final scoreline. The final moments of the game saw an onslaught of pressure from the Italian side. However, after the clock turned red Wales turned over possession. All that was needed was to kick the ball off the field to ensure they finished with a draw, but they missed touch. Some may say this is a relatively harsh analysis. However, having played over a 15 year period in international colours, I have seen so many components of the game develop and progress. Kicking is not one of them. Generally speaking girls do not grow up kicking a ball of any shape. Even with two older brothers and a passion to do everything they did, I seemed to avoid this part of play. As a 14-year-old my Dad taught me to spiral kick with both feet. He saw the importance of this, but thinking I knew better, it was something I chose not to persist with. A decision I would always regret. Currently many girls still come late to rugby and need to learn a variety of new skills - of which kicking is just one. Coaches often only look at the skills that players already possess, using those as building blocks for the women's game. Kicking is rarely a priority. I spent so much of my career not believing I could kick because I didn't think it was a strength. I was embarrassed to not have the power or length expected of an international full-back, so built a game that mastered the art of beating people by foot. However, the game has and needs to move on from this mindset. In the next round, unusually both Wales' men's and women's teams face the same prospect - welcoming England sides with petrifyingly accurate kicking games. The Welsh men will be delighted to have Leigh Halfpenny back… does he have a sister! ?